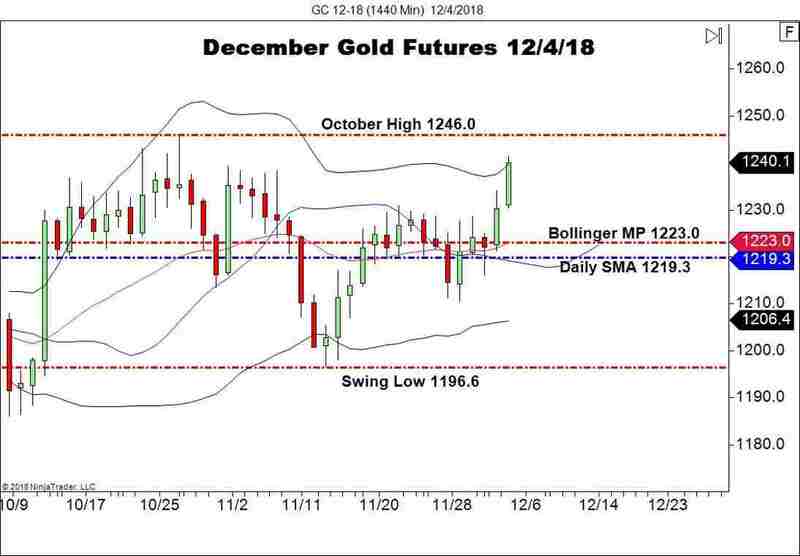 December Gold Futures Are In Position To Challenge October's Highs. Fallout from the G20 Leaders’ Summit has been a positive influence on bullion bulls, prompting a two-day rally of more than 150 ticks. The action has been overwhelmingly positive, with bidders coming out of the woodwork above each psychological level. Futures volume is now firmly on the February GOLD contract, with December soon to come off of the board. New concerns regarding the resumption of the U.S./China trade war are dominating market sentiment. Stocks are struggling mightily, with the DJIA down 600 points and the S&P 500 falling by 72. It is getting ugly out there and many investors are heading toward the safe-havens. Today’s action in gold futures has been defined by the explosive buying above Monday’s session high. Traders turned their attention to the February contract last week. Subsequently, the action is very sparse for the December issue. 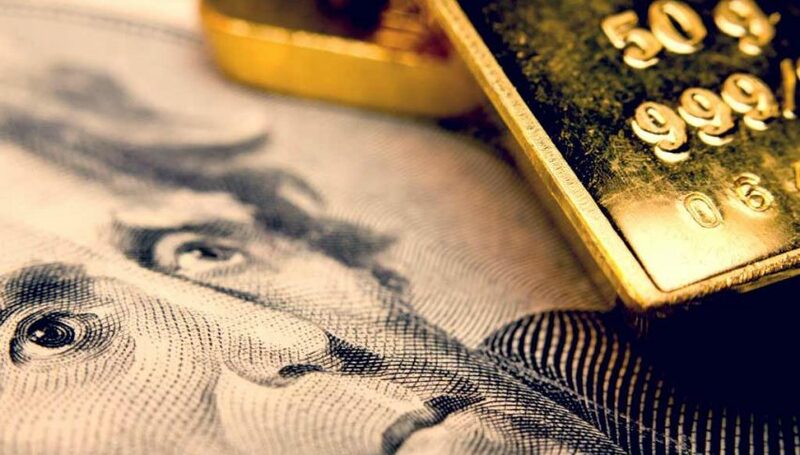 Overview: The December contract for gold is an important one in that it represents the end-of-year sentiment among traders. 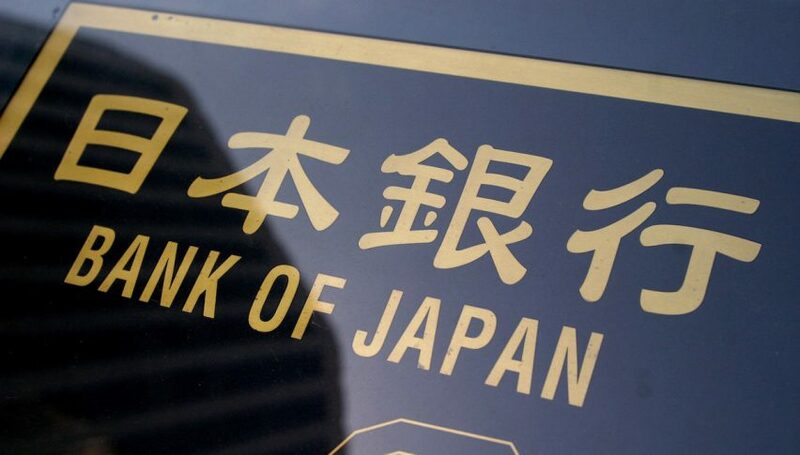 It is used to balance long-term risk, with institutional money frequently buying or selling December bullion in mass. This year has featured December gold futures coming off of the board on a high note. The February contract is also trending higher, with prices near 1247.0 area. If nothing else, the sluggish start to December for equities and sudden strength in bullion may be hints of a shifting stock market dynamic for 2019.